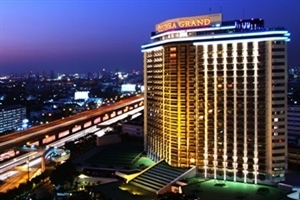 Fly to Bangkok for 3 nights of fun in this bustling and enigmatic city. 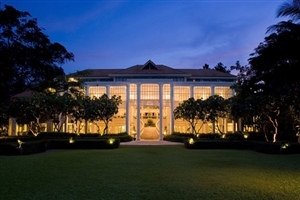 Full of culture, the city of Bangkok has wonderful temples and palaces and is the perfect stop off destination on your way to the beaches. 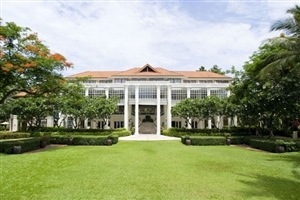 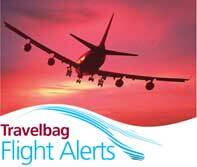 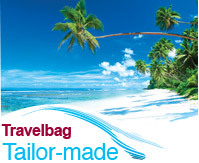 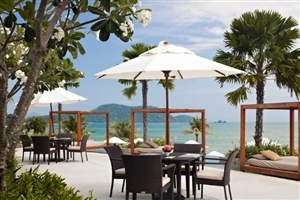 After your 3 nights in Bangkok transfer to the island paradise that is Phuket for 6 nights. 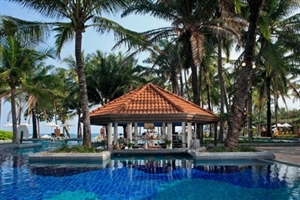 With soft sandy beaches fringed by palm trees and no end of bars, restaurants and clubs this is a great holiday destination. 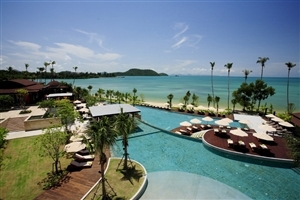 Relax beside the pool or head down to the beach to enjoy your holiday in Thailand. 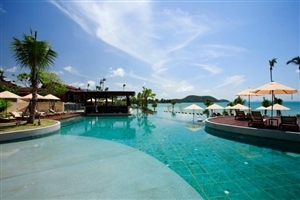 Transfer to the island of Koh Samui which has moved upscale from its original status of backpacker heaven. 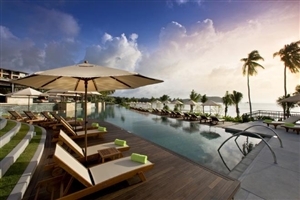 Surrounded by coral reefs and turquoise waters this island makes the perfect escape from the bustling city. 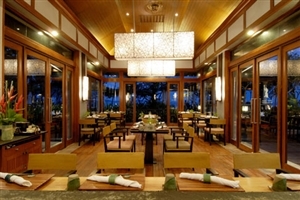 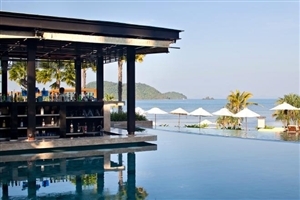 Enjoy six nights on Koh Samui for a taste of paradise. 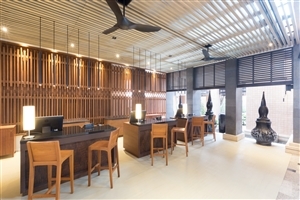 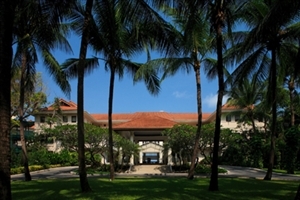 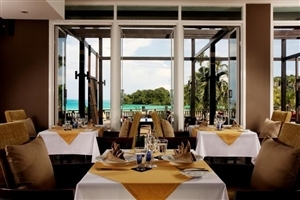 Located on Chaweng beach, the hotel is built in a colonial style. 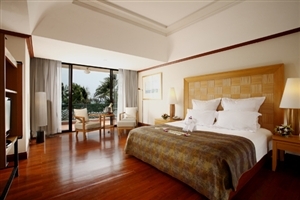 All guestrooms are set in four-storey buildings with balconies facing the palm trees, gardens or sea and are elegantly furnished. 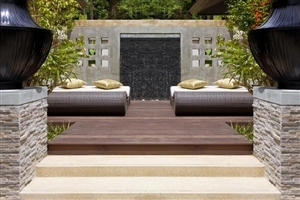 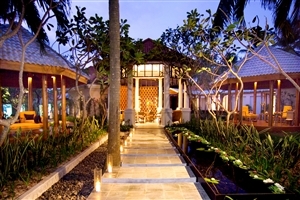 The resort features attractive pool villas with a private plunge pool. 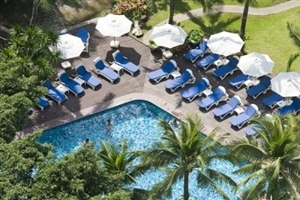 The large pool is at the heart of the resort and diving, tennis and a spa are also on offer. 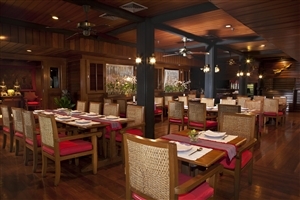 There are several restaurants, including the Spice Island for authentic Thai cuisine and Palm Grove for international dishes. 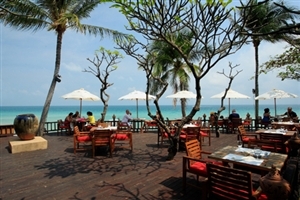 A variety of watersports can be arranged from the beach. 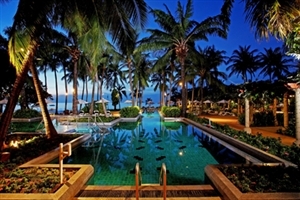 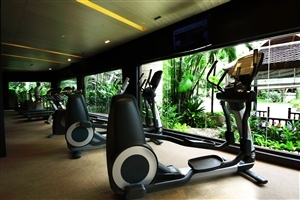 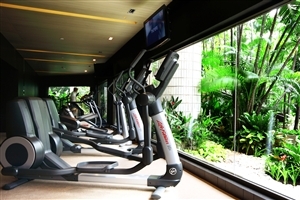 A multitude of superb facilities are available to guests at Centara Grand Beach Resort Samui, whether your wish is to relax in our on-site spa, dive into the refreshing beachfront swimming pool, or sample a spot of watersports in a unique tropical location. 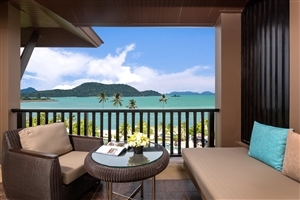 The Deluxe rooms at Centara Grand Beach Resort offer 40sqm of accommodation space and feature a private balcony overlooking the fabulous Gulf of Thailand. 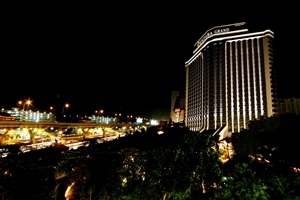 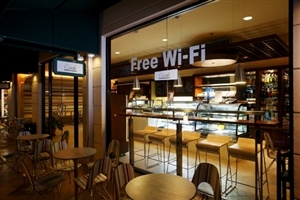 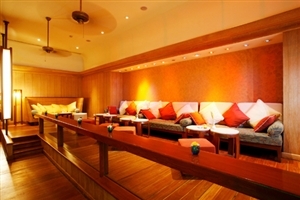 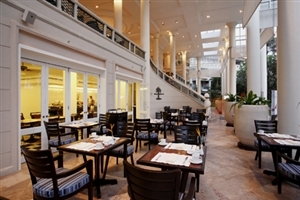 Guests can take advantage of the Centara Club benefits at an extra charge. 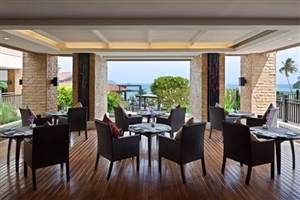 The Premium Deluxe Ocean Facing rooms at Centara Grand Beach Resort offer 40sqm of accommodation space and feature a superb ocean view from the private balcony. 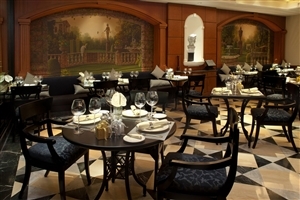 Guests can take advantage of the Centara Club benefits at an extra charge. 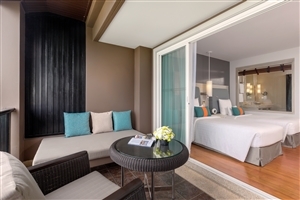 The Deluxe Pool Suite at Centara Grand Beach Resort offers 60sqm of accommodation space and includes a private courtyard featuring a relaxing 8m plunge pool. 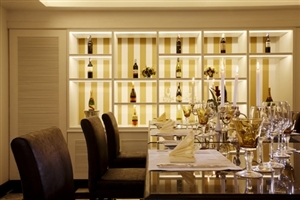 Guests can take advantage of the Centara Club benefits at an extra charge. 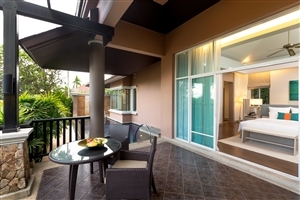 The One Bedroom Suite at Centara Grand Beach Resort offers 82sqm of accommodation space and includes a separate bedroom and living area, plus a sea facing balcony. 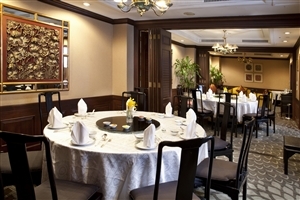 Guests can take advantage of the Centara Club benefits at an extra charge. 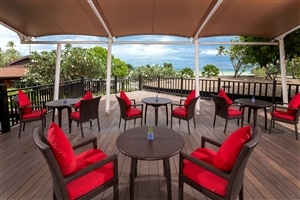 Guests can take advantage of the Centara Club benefits at an extra charge. 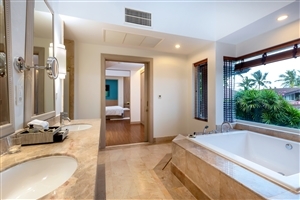 The One Bedroom Premium Deluxe Pool Suite at Centara Grand Beach Resort offers 118sqm of accommodation space and comprises of a separate bedroom and living room area, plus a private courtyard featuring a plunge pool. 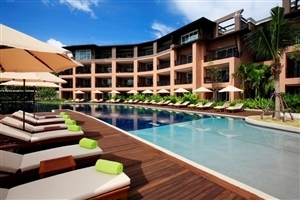 Guests staying in the One Bedroom Premium Deluxe Pool Suite receive Centara Club upgrades, as listed below. 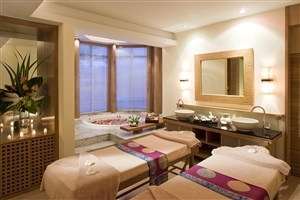 The Royal Suite at Centara Grand Beach Resort offers 132sqm of accommodation space and features a separate bedroom and living area, a dining table and a powder room. 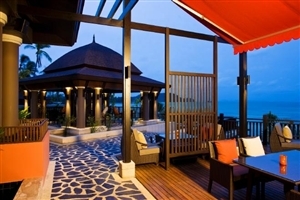 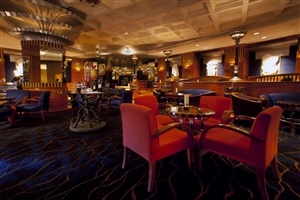 Guests staying in the Royal Suite receive Centara Club upgrades, as listed below. 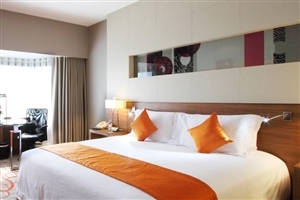 The Deluxe Room offers guests 35sqm of accommodation space in a comfortable, modern setting with stylish decor accentuated by the vivid colour scheme and features breathtaking views overlooking Bangkok’s city skyline. 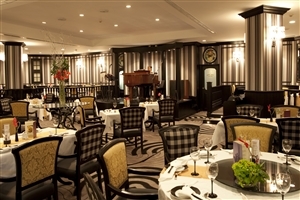 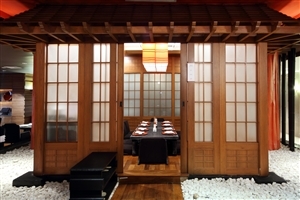 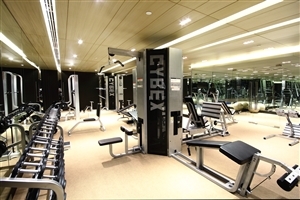 This room is suitable for up to 3 adults or 2 adults and 1 child. 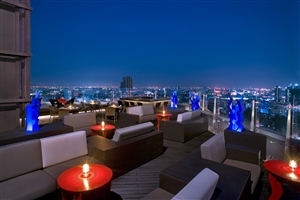 The Premium Deluxe offers guests 35sqm of accommodation space with stunning panoramic views over the city skyline of Bangkok. 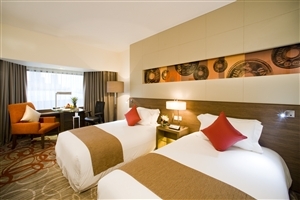 The room itself houses a number of luxury amenities within its stylishly decorated walls. 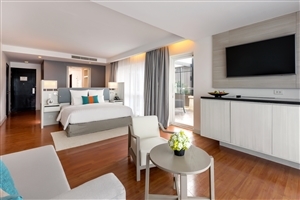 The Deluxe Suite offers guests 45sqm of accommodation space, boasting views over Bangkok’s city skyline and the lush greenery of the surrounding areas. 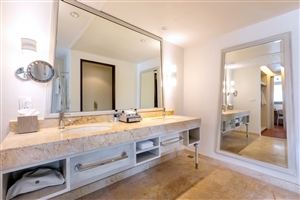 The suite is well decorated, with warm, ambient tones and holds a number of luxury amenities. 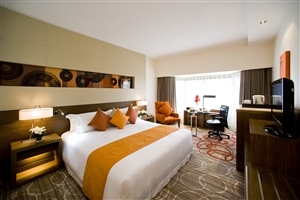 This suite is suitable for up to 3 adults or 2 adults and 1 child. 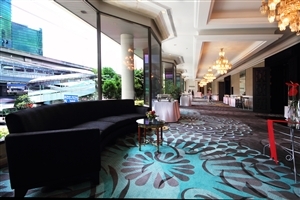 The Club Deluxe offers guests 35sqm of accommodation space, filled with amenities and stylish furnishings in contemporary surroundings, with glorious views overlooking the Bangkok cityscape and verdant foliage. 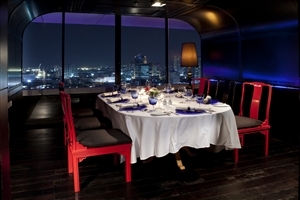 The Premium Suite offers guests 45sqm of accommodation space featuring a gorgeous city view over Bangkok. 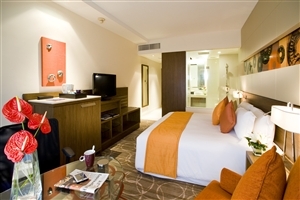 The suite is comfortable, spacious and luxuriously furnished with a number of amenities and a chic design. 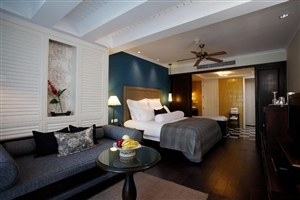 The Club Deluxe Suite offers guests 45sqm of accommodation space in a luxurious setting that overlooks the amazing Bangkok city skyline and local lush foliage. 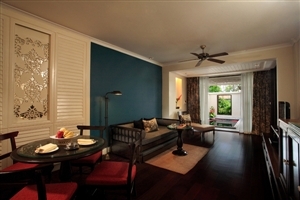 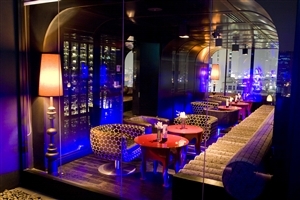 The suite is stylishly decorated and is fitted with a myriad of amenities. 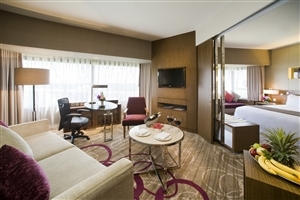 The Premium Deluxe Suite offers guests 52sqm of accommodation space which overlooks the beautiful Bangkok city skyline and includes, amongst its many luxurious amenities and comfortable setting, an extensive private living area. 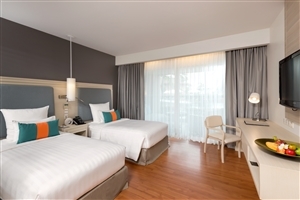 The Studio Suite offers guests 65sqm of accommodation space in a contemporary, spacious room which features stylish decor, luxury amenities and private living area while overlooking the glorious Bangkok city skyline and lush greenery. 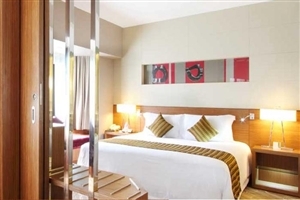 This suite is suitable for up to 3 adults or 2 adults and 2 children. 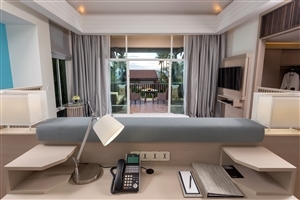 The Executive Suite offers guests 65sqm of accommodation space which features among its chic style and spacious comforts a private living area and breathtaking views of green foliage and the Bangkok city skyline. 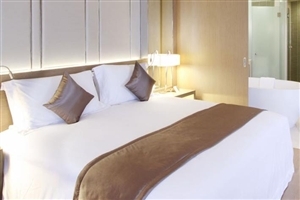 The Plaza Suite offers guests 90sqm of accommodation space and is the penultimate experience in luxury at the hotel. 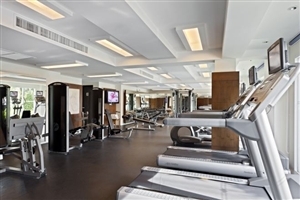 Featuring an extensive array of amenities, a private living area and very own dining room with pantries for a true home away from home feeling in a chic, stylishly furnished environment with splendid views of the city skyline. 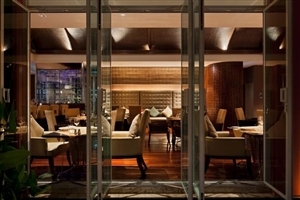 The Royal Suite offers guests 170sqm of accommodation space comprising the apex of the hotels luxurious settings. 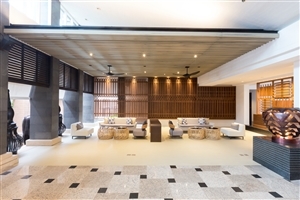 The stylish, comfortable space consists of a private living area, dining room and pantry along with a smorgasbord of amenities to create the perfect environment for any and all guests, complete with panoramic views over the gorgeous Bangkok city skyline and verdant foliage. 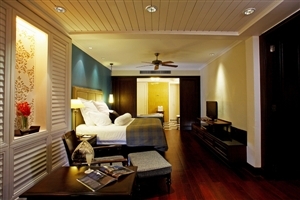 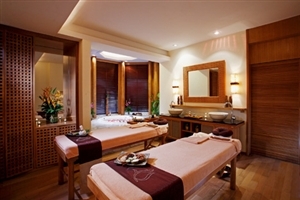 This suite is suitable for up to 4 adults or 3 adults and 2 children. 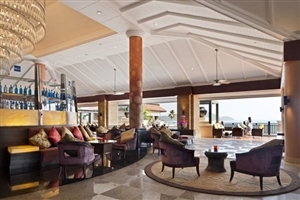 Relax and unwind in luxury with a stay at Pullman Phuket Panwa Beach Resort, located on the beautiful south-eastern shores of tropical Phuket. 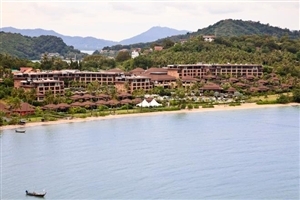 An excellent choice for a Phuket holiday, Pullman Phuket Panwa Beach Resort offers an impressive location overlooking the sparkling Andaman Sea, perfect for those wanting to spend their hours relaxing on the surrounding pristine beaches. 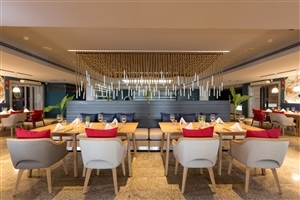 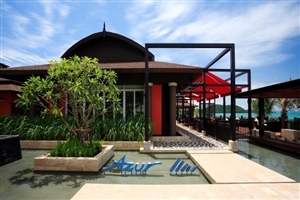 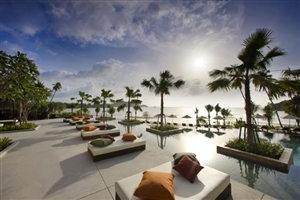 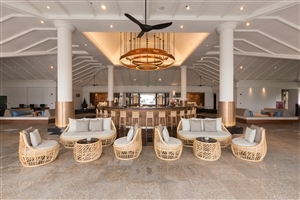 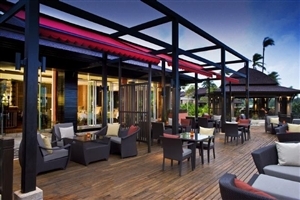 Accommodation at Pullman Phuket Panwa Beach Resort is well-appointed and enjoys contemporary styling, while the impressive array of facilities include four restaurants and bars, the sumptuous Talay Spa and an infinity-edge swimming pool with stunning views. 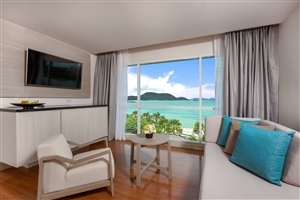 The Deluxe rooms at Pullman Phuket Panwa Beach Resort offer 50sqm of accommodation space, with contemporary décor and quality furnishings features throughout. 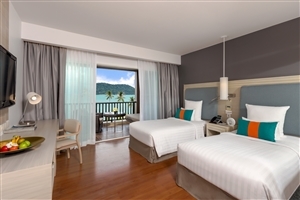 The Junior Suite at Pullman Phuket Panwa Beach Resort offers 70sqm of accommodation space, including a separate sitting area and bedroom enhanced by chic decoration. 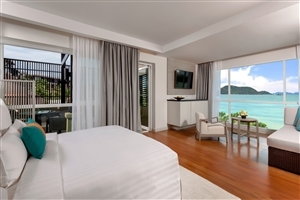 The Suite at Pullman Phuket Panwa Beach Resort offers 117sqm of accommodation space, including a separate bedroom and living room area, plus a private balcony from which to admire the stunning Andaman Sea views. 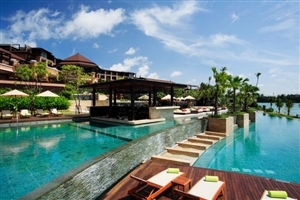 The Pool Villa at Pullman Phuket Panwa Beach Resort offers 150sqm of accommodation space and is distinguished by its special infinity-edge pool, 40-inch LCD television and outdoor tiled terrace area.